The current North American outbreak is the biggest in history, and it has led the poultry industry to kill 40 million birds in Canada and 16 U.S. states. According to data from the U.S. Department of Agriculture (USDA), as of May 14, only about 10 percent of confirmed bird flu cases have come from backyard operations. This is true even though the official response to any confirmed case is to search the surrounding area for birds (including people's homes) and then quarantine and test any birds found, including those in backyard flocks. In Iowa, for example, all flocks within 6.2 miles of an outbreak are tested. Of the 400 flocks tested to date, more than half have been backyard operations. Yet the trend continues: it's the factory-farmed birds getting sick. This has been described as a mystery because the conventional wisdom holds that bird flu is spread via bird droppings -- specifically, droppings left by wild, migratory birds. This means that backyard farms should be more susceptible because the birds spend more time outside, often frequenting the same ponds used by wild birds, and biosafety protocols are substantially less rigorous than those used at factory farms. Some of the explanations proposed for the spread of bird flu into the commercial farms -- such as that bird droppings and feathers are being blown in by ventilation systems -- fail to explain this paradox. Another explanation offered in the early days of the outbreak -- breaches of biosafety measures by factory farm workers -- seems to have been disproven in recent weeks. Once the scale of the epidemic became clear, commercial farms doubled down and strengthened their safety protocols. Despite these measures, the spread of the epidemic has not slowed, and it still remains mostly confined to factory farms. "All the old dogma about high-path influenza transmission has just gone out the window," said infectious disease researcher Michael Osterholm of the University of Minnesota. "We're in totally uncharted territory." 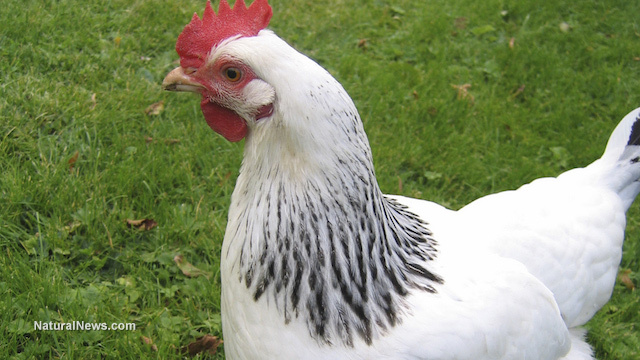 Another explanation offered by some researchers is that even if backyard chickens are exposed to the virus more because they spend more time outside, the outdoors itself provides them with protection. That's because sunlight and warm temperatures are lethal to the influenza virus. It is this latter factor that has the USDA optimistic about the trajectory of the current outbreak. "We believe the worst is behind us," said John Clifford, USDA Chief Veterinary Officer. "Summertime is coming. It gets hot in these places in July and because the heat and the sunlight reduces the virus present in the environment we will stop seeing cases."